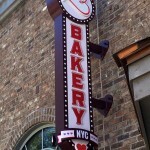 It was just this past February when many Disney World guests celebrated the opening of Erin McKenna’s Bakery NYC in The Landing of Disney World’s Disney Springs area. For those who had missed the presence of BabyCakes in Downtown Disney’s Marketplace since its previous location closed to accommodate construction in March 2014, the new storefront was a welcome re-addition. While the name has changed, the focus on vegan (dairy-free, egg-free), soy-free, and gluten-free baked goods remains the same, making it a great destination for many Disney World guests on special diets. Though I’m not on a special diet myself, I sometimes find myself stopping by Erin McKenna’s when I’m at Downtown Disney, anyway. I’ve found that I’ve come to enjoy several of the treats (I can’t walk by without at least entertaining the notion of picking up a slice of Lemon Teacake), and I can never resist any bakery case full o’ cupcakes. items such as scones, cinnamon rolls, cookies, donuts (have you seen the gorgeous Samoa Donut?! ), and even a few savory breads. 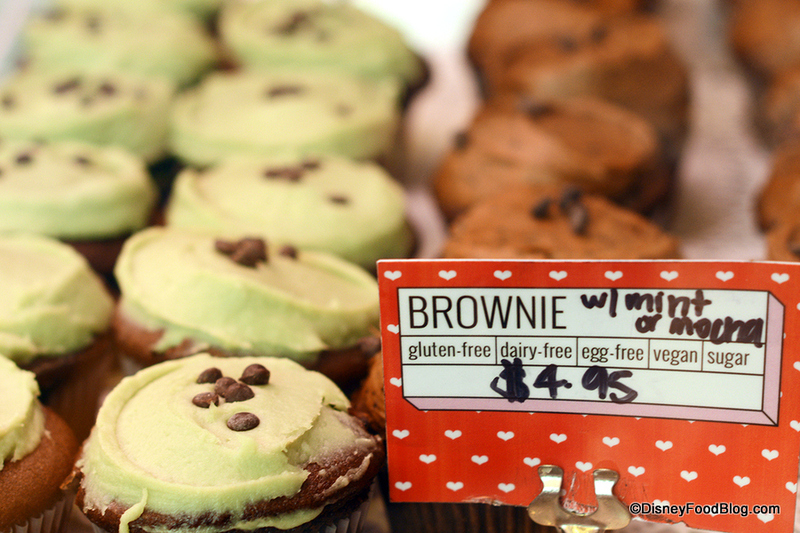 Our selection on this trip was the Mocha Brownie Cupcake (while flavor choices may vary per visit for these fresh-baked treats, the other Brownie Cupcake option on this trip was Mint). 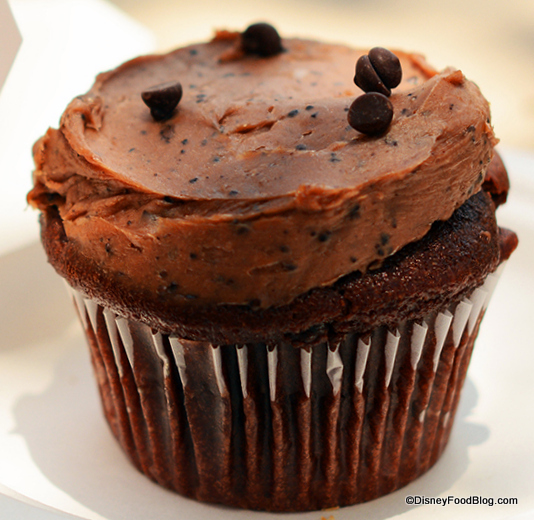 As the name suggests, the Mocha Brownie Cupcake is a brownie in the form of a cupcake with a chocolate mocha frosting and mini chocolate chips throughout. 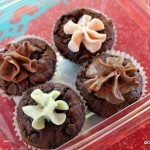 The cupcake offers a solid punch of chocolate while not being overly sweet. 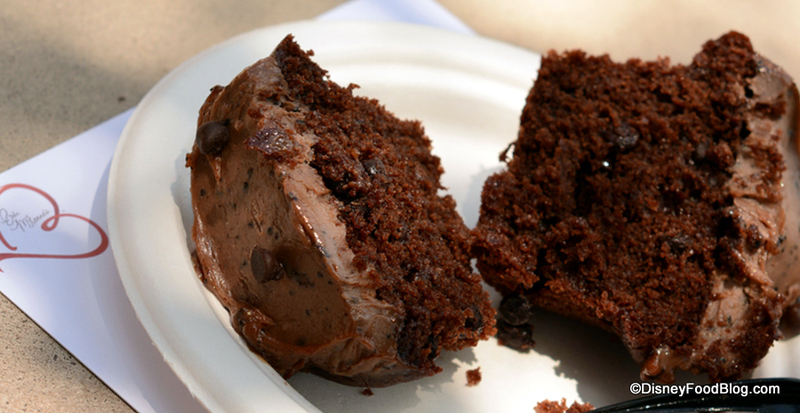 The cake itself is rich in flavor and dotted with a generous amount of mini chocolate chips. The frosting has a hint of mocha mixed in, keeping the chocolate as the star without hitting you in the face with coffee. Now, as somewhat expected with gluten-free baked goods, the texture does differ from a more traditional cake recipe. This one was a bit dry and very dense — it was even a little difficult to cut in half with a fork. That’s possibly due to both the cakes being chilled in the case before serving and the denser brownie style for this one, because I’ve found the regular cake-style cupcakes here to be less dry on several occasions. Overall, though, it tamed both the sweet tooth AND the chocolate craving, and served as a solid reminder that it’s good to have BabyCakes back in Downtown Disney. Oh, one more thing! If you’re a fan of the cupcakes or donuts at Erin McKenna’s Bakery NYC and are able to frequent the location, be sure to ask about their brand new loyalty card on your next visit! 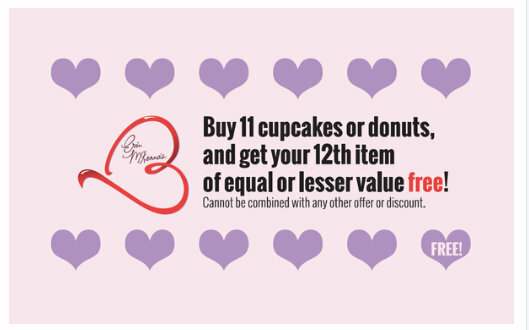 Are you in the market for a free cupcake? 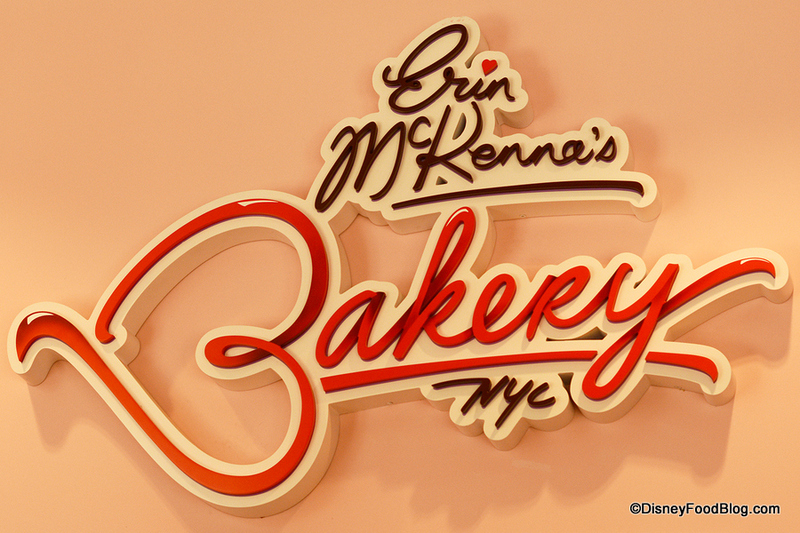 Have you had a chance to stop by the still-new Erin McKenna’s Bakery NYC? Please let us know about your experience with a comment! The Year in Review: Top Disney Food News Stories of 2015! 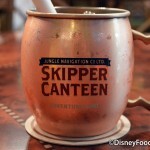 « Updated Animal Kingdom Counter Service Options — Including the Reopened Flame Tree Barbecue! 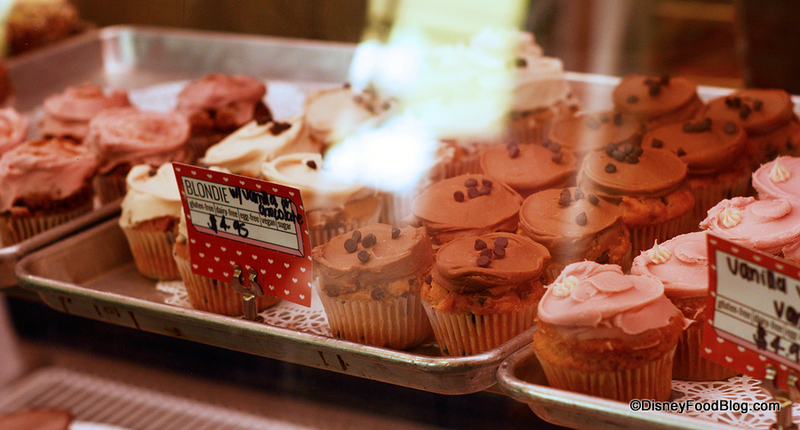 I’ve been to the BabyCakes in the Lower East Side in New York and tried almost all of the cupcakes available. Every one has been distastefully not sweet at all – almost bitter sometimes (looking at you, Chocolate). They need to up the agave or honey or whatever they use. The donuts and toasties and cookies were, on the other hand, quite delicious. Hopefully the Florida location has improved on their cupcakes. Although the price seems a bit high, the amount of icing is so much more appealing than the ones with 2 inch high frosting. I’m a huge fan of Babycakes NYC. I started visiting when my daughter was diagnosed with an egg allergy. She has since outgrown the allergy, but I still go for the cupcakes and loaf cakes. I LOVE that so many of their flavors are not cloyingly sweet and have a more adult flavor profile. I’m hoping Landscape of Flavors still offers the Babycakes minis as a dessert option when we stay at AoA next month!! Went there today specifically to have lunch at the Rainforest Cafe and since both myself and son have Celiacs and had heard good reviews about the cupcakes I thought we’d give it a try. I was a little put off by the price but went ahead and got the brownie cupcake and mint cupcake. They were both very dense and left a lot to be desired on for the taste. 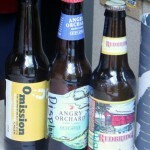 Maybe this was just a bad batch but at such a high price I won’t be recommending these to anyone. Such a shame. What’s New in Epcot: More Construction Updates, New Merch, and AWESOME GUMMY CANDIES! Dave on Disney World’s Iconic Carrot Cake Cookie Sees Big Changes! Dave on Check Out the Eats (Num Num Cookies and MORE!) 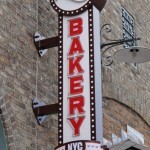 at the NEW Neighborhood Bakery at An Incredible Celebration in Hollywood Studios! Eric johnson on BREAKING NEWS: One of Magic Kingdom’s Character Cones has Flown the Coop!